The Osher Lifelong Learning Institute at Auburn University (OLLI at Auburn) will hold its lecture series entitled “Wisdom Wednesdays” Oct. 3 from 2:30 – 4 p.m. at the Jule Collins Smith Museum of Fine Art, located at 901 S. College St. in Auburn. 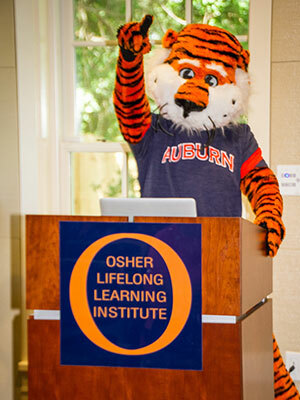 OLLI members, guests and friends are all invited to learn more about OLLI at Auburn course offerings, social engagements and initiatives. • acknowledge employer efforts to support caregivers. Robert is an emeritus professor of lifespan developmental psychology at Arizona State University. His research and writing center on the strengths and learning needs of parents and grandparents. Robert was a Fulbright Scholar in Sweden, the Philippines, and Australia. His career began as a teacher in St. Paul and Detroit. Paris is a professor of educational psychology at Auburn University in the College of Education. He teaches online courses in child, adolescent, and lifespan learning. His research and publications focus on building family relationships, improving student teamwork skills, and evaluating conditions of learning in school. His career began as a high school teacher in Phoenix, Arizona. 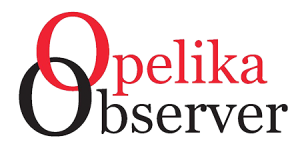 OLLI at Auburn offers academic not for credit programs for adults aged 50 years or older through program sites at Auburn University, AUM in Montgomery, and the Chambers County Public Library in Valley. OLLI at Auburn is a program of the Office of the Vice President for University Outreach at Auburn University. OLLI administrative offices and select classes are located at the historic Sunny Slope property, located at 1031 S. College St. in Auburn. For more information regarding this event or to assist the organization as a volunteer faculty member, volunteer service assistant, or sponsor, contact Ileeia A. Cobb, Ph.D., OLLI Director, at 334-844-3105, olli@auburn.edu or visit www.olliatauburn.org. Next articleIN THE MATTER OF THE ESTATE OF RICHARD ALLEN WALKER, DECEASED.